A nearly weeklong search for two suspects wanted in connection with a grisly River North murder came to a peaceful end in the San Francisco area on Friday evening, police said. 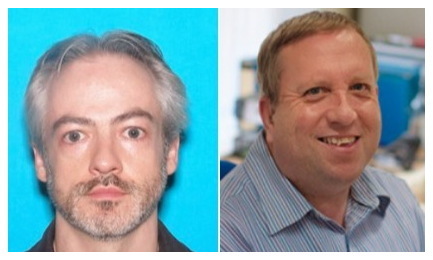 Northwestern University associate professor Wyndham Lathem, 42, turned himself into federal authorities in Oakland, California, shortly after dropping the other wanted man off to surrender at a city police station, the Sun Times reported tonight. 56-year-old Andrew Warren, an employee of the University of Oxford in the UK, walked into the San Francisco Park Station about a mile from the Golden Gate bridge around 6:30 p.m. and told a desk officer that he was wanted by Chicago police. San Francisco homicide cops questioned Warren and alerted the local British Consulate, a spokesman said. After dropping Warren off, Lathem drove across the bay to Oakland and surrendered to U.S. Marshals in a federal building courtyard. Both men are expected to waive extradition and return to Chicago. Here, the duo is wanted for questioning in connection with the stabbing death of 26-year-old Trenton Cornell-Duranleau on July 27, according to court records. 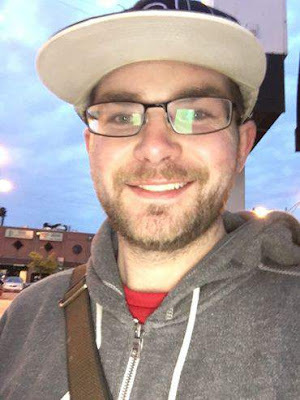 Cornell-Duranleau was found dead in Lathem’s 10th-floor apartment in the 500 block of North State Street after an anonymous tip sent cops to the unit about 12 hours after the murder is believed to have occurred, according to police. Chicago cops have described Lathem as their primary target. Warren had reportedly arrived in Chicago for his first visit to the United States just days before the murder. His family had recently reported him missing in the UK. How he came to know Lathem and exactly what transpired in the apartment that looks south toward Marina City has yet to be learned. Reports have surfaced that his profile had been seen locally on Grindr, a gay dating app, in the days leading up to Cornell-Duranleau's death. Warren worked in the treasury department of Somerville College, which is part of Oxford University. Police have indicated that Cornell-Duranleau may have died in a domestic-related incident.